Closer to Nature® baby bottle sterilisers are designed to be fast, fuss-free and easy to use making it almost effortless to keep bottles, teats and feeding accessories safe and free from harmful germs. A baby’s developing immune system needs to be protected. The Closer to Nature® Electric Steam Steriliser is a chemical free sterilising system designed to kill 99.9% of germs on bottles. Closer to Nature® baby bottle sterilisers are designed to be fast, fuss-free and easy to use making it almost effortless to keep bottles, teats and feeding accessories safe and free from harmful germs. A baby’s developing immune system needs to be protected. The Closer to Nature® Electric Steam Steriliser is a chemical free sterilising system designed to kill 99.9% of germs on bottles. 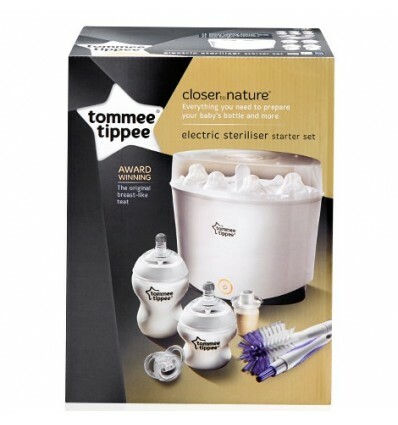 The Tommee Tippee Electric Steam Steriliser features a new sleek and clean-looking oval shape to mimic the shape of the Closer to Nature bottle and take up less space on the kitchen workbench. The Closer to Nature Electric Steam Steriliser holds a day’s worth of bottles. The steriliser has enough space for 6 bottles, teats and bottle lids, as well as space for Closer to Nature Advanced Comfort Feeding Bottle tube attachments. 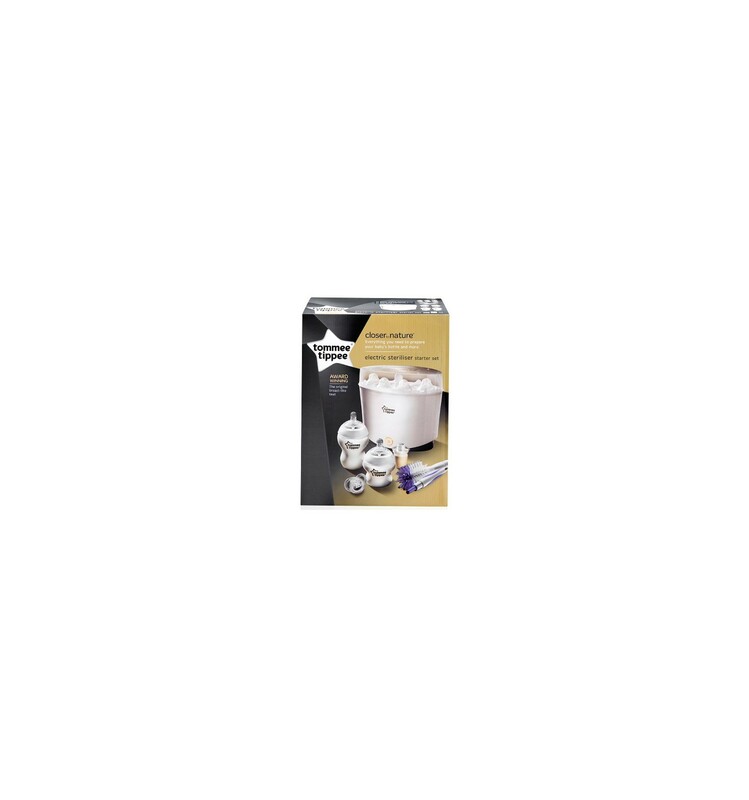 The Electric Steam Steriliser's contents now stay sterile for a full 24 hours if the lid stays closed, giving parents the chance to switch it on at bedtime and remove clean bottles at breakfast time.